Indian birds › Collared scops owl › European nightjar - Caprimulgus europaeus. The European nightjar (Caprimulgus europaeus) belongs to the family of nightjars, Caprimulgidae. These species of nightjars are distributed in Pakistan, Northwest India, Europe, Central and West Asia and eastern, western and southeastern Africa. The European nightjar is a nocturnal and crepuscular bird, characterized by long wings, short legs and short bill. 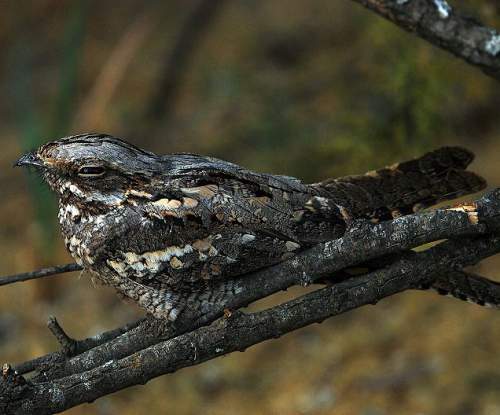 There are six recognized subspecies of these nightjars. Caprimulgus europaeus is closely related to Caprimulgus fraenatus (sombre nightjar) and Caprimulgus rufigena (rufous-cheeked nightjar). The six recognized subspecies of European nightjar are: C. e. dementievi Stegmann, 1949, C. e. europaeus Linnaeus, 1758, C. e. plumipes Przevalski, 1876, C. e. meridionalis E. J. O. Hartert, 1896, C. e. unwini A. O. Hume, 1871 and C. e. sarudnyi E. J. O. Hartert, 1912. The European nightjar (Caprimulgus europaeus) is a small nocturnal bird measuring about 25 to 30 cm in length and weighing 50 to 100 grams. The wingspan is 50 to 60 cm. The upperparts are grayish-brown in adult nominate species. There is intensive streaking with black and different shades of brown. There is a pale brown collar on the nape. The moustachial line is whitish. The European nightjar wing is grayish brown on the upper side with buff spotting. The grayish-brown underparts have brown barring and spotting. The bill is grayish black and there are bristles around the mouth. The irises are dark brown and the legs and feet are pale brown. The male European nightjar can be differentiated while flying by the white wing patch across three primary feathers and the white tips of outer tail feathers. The call of the male European nightjar is a continuous churring sound. The European nightjar is distributed in Pakistan, Northwest India, Europe, Central and West Asia, western, eastern and southeastern Africa. The subspecies C. e. dementievi is distributed in Trans-Baikal Russia and Northeastern Mongolia. The subspecies C. e. plumipes is distributed in Northwest China and West and South Mongolia. The European nightjar subspecies C. e. unwini (Hume's nightjar) is distributed in Iraq, Iran, Tien Shan region, South Turkmenistan, Uzbekistan, Kashgar region (China), North Pakistan and northwest India. The subspecies C. e. sarudnyi is distributed in Kazakhstan, Kyrgyzstan, Tarbagatai Mountains and Altai Mountains. The European nightjar subspecies C. e. meridionalis is distributed in Northwest Africa, Southern Europe, Crimea, Caucasus Mountains, Ukraine, Iran and Caspian Sea area. The subspecies C. e. europaeus is the nominate species and is distributed in north and central Europe and north Central Asia. More than 150 Important Bird and Biodiversity Areas (IBA) have been identified in 24 countries. 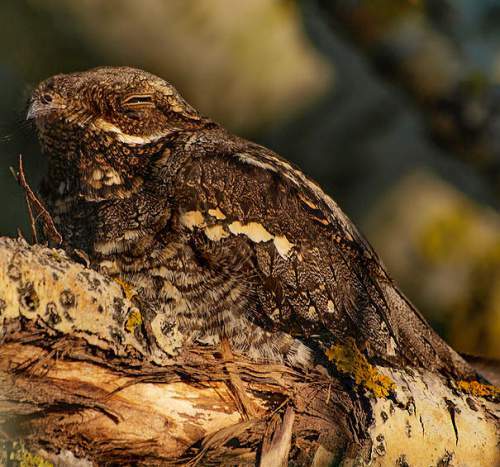 These European nightjar species inhabit a wide range of open habitats such as drylands, open country, highlands with ground vegetations, plains with some trees and small bushes, heaths, moorland, forest clearings, abandoned agricultural lands and newly planted woodland. They occur in breeding grounds up to 3,000 meters and in wintering grounds up to 5,000 meters. The diet of the European nightjar is mostly flying insects like grasshoppers, beetles, mantises, mayflies, dragonflies, crickets and moths. The breeding season of these European nightjar species is from May to August. It is believed to be significantly earlier in northwest Africa and western Pakistan. These birds start breeding when they are one year old. The males after returning from wintering establish territories. The nightjars are monogamous during the breeding season. The European nightjars lay the eggs on the bare ground, leaf litter or pine needles. The clutch may consist of one or two eggs. The chicks hatch out in 20 days and fledge in 16-17 days. Both the parents feed the chick with regurgitated ball of insects. Quite often, the early breeders may raise a second brood. The fledglings become independent when they are seven week old. These European nightjar species are mostly migratory. The nominate subspecies C. e. europaeus leave their breeding grounds during August-October to reach their wintering grounds in Africa. They return to their breeding grounds in the early summer. The global population size of the European nightjar (Caprimulgus europaeus) is estimated to be around 1,410,000 to 3,000,000 individual birds. 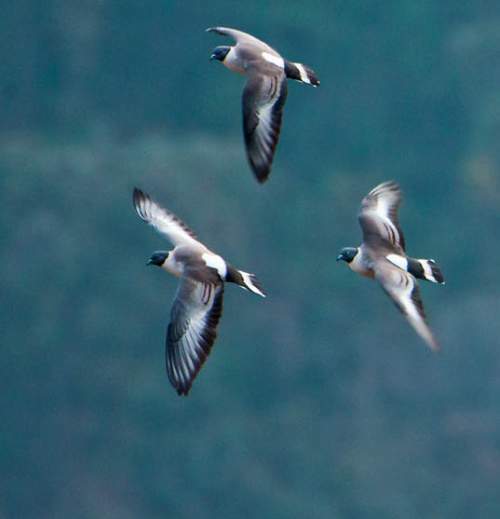 The overall population size is considered to be on the decline, due to habitat loss, reduced food availability and human disturbance at the roosting and breeding sites. Their generation length is 5.6 years. These nightjar species have large range and population. The European nightjar does not approach the thresholds for being Vulnerable either under the range size criterion or under the population trend criterion or under the population size criterion. 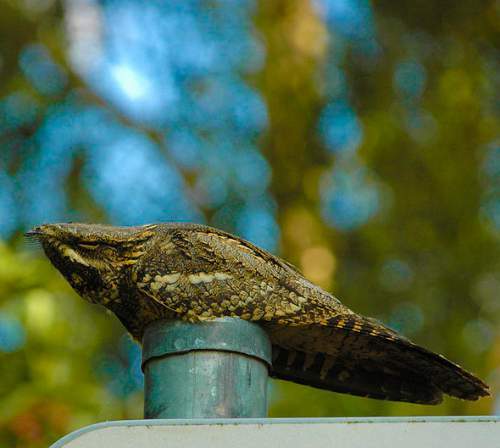 The IUCN (International Union for Conservation of Nature) has categorized and evaluated the European nightjar (Caprimulgus europaeus) and has listed it as of "Least Concern". Current toipc in Birds of India: European nightjar - Caprimulgus europaeus. 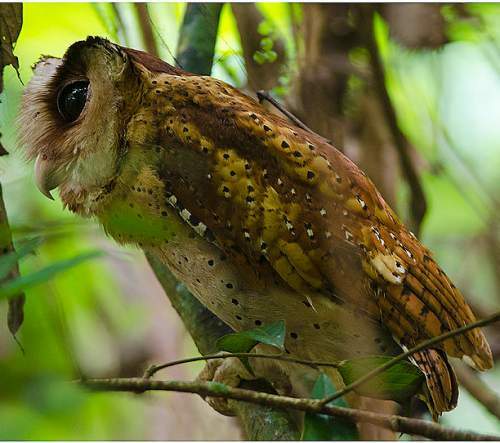 Indian birds › Sri Lanka bay owl › Collared scops owl - Otus lettia. The collared scops owl (Otus lettia) is a small nocturnal bird, belongs to the family of typical owls, Strigidae. These owl species are distributed in Indian Subcontinent, China, Indochina region, Malaysia, Myanmar and Indonesia. There are five recognized subspecies of these owls. Otus lettia is closely related to O. bakkamoena and O. lempiji. 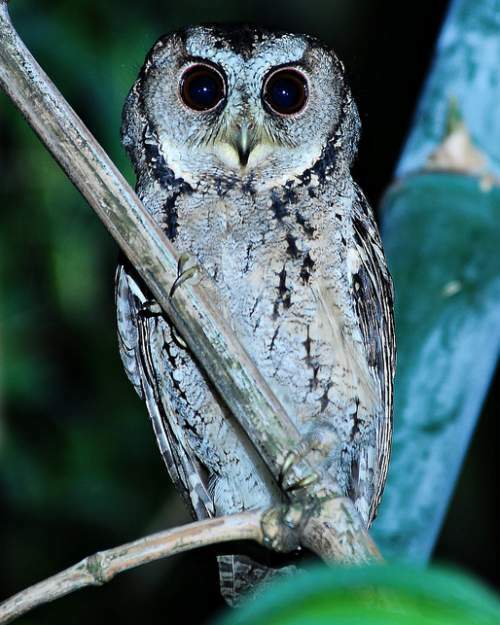 The five recognized subspecies of collared scops owl are: O. l. plumipes (A. O. Hume, 1870), O. l. lettia (Hodgson, 1836), O. l. erythrocampe (Swinhoe, 1874), O. l. glabripes (Swinhoe, 1870) and O. l. umbratilis (Swinhoe, 1870). The collared scops owl (Otus lettia) is a small nocturnal bird measuring about 20 to 25 cm in length and weighing 100 to 170 grams. It occurs as rufous and grayish brown morphs. The facial disc is light gray or pale rufous. The ear tufts are small. The upperparts of the collared scops owl are gray or brown with pale buff spotting. The eyes are orange or brown depending upon the type of morph. There is a buff neck band or collar. The underparts are pale gray or buff with scattered fine darker vertical streaking. Their call is a soft "goog gook" sound. These collared scops owl species are distributed in Pakistan, India, Nepal, bhutan, Bangladesh, China, Taiwan, Hong Kong, Vietnam, Cambodia, Laos, Thailand, Malaysia, Myanmar, Indonesia and Singapore. The subspecies O. l. umbratilis is distributed in Hainan Island (China). The subspecies O. l. glabripes is distributed in Taiwan. The collared scops owl subspecies O. l. plumipes is distributed in west Himalayan foothills extending from North Pakistan to Nepal. The subspecies O. l. lettia is distributed in Nepal, East India, Bangladesh, Myanmar, Thailand, Cambodia, Laos and Vietnam. The owl subspecies O. l. erythrocampe is distributed in Southeast China and Northwest Vietnam. These collared scops owl species inhabit humid evergreen and semi-evergreen forests, wooded hillsides, deciduous forests, dense groves, scrub jungles and degraded forests. The diet of the collared scops owl is grasshoppers, crickets, moths, mantises, beetles, small rodents, small birds and lizards. The breeding season of these collared scops owl species is from February to May in India. In Thailand, the breeding season is from January to April. They nest in tree hollows and lay 4-5 eggs. These owl species are mostly non-migratory resident birds. Post breeding dispersal of juveniles takes place. They may make local movements for feeding and breeding. The collared scops owls, resident in higher altitudes, descent to lower levels during winter. The global population size of the collared scops owl (Otus lettia) has not been quantified. The overall population size is considered to be stable. Their generation length is 3.7 years. These owl species have large range and population. The habitat loss due to deforestation and logging is threatening the survival of these species. The collared scops owl does not approach the thresholds for being Vulnerable either under the range size criterion or under the population trend criterion or under the population size criterion. 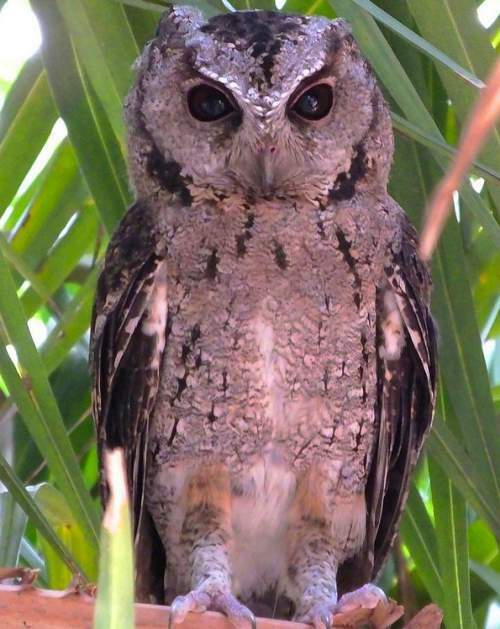 The IUCN (International Union for Conservation of Nature) has categorized and evaluated the collared scops owl (Otus lettia) and has listed it as of "Least Concern". The CITES (the Convention on International Trade in Endangered Species of Wild Fauna and Flora) has listed these owls in Appendix II. Current topic in Birds of India: Collared scops owl - Otus lettia. Indian birds › Common hawk-cuckoo › Sri Lanka bay owl - Phodilus assimilis. The Sri Lanka bay owl (Phodilus assimilis), a strictly nocturnal owl, belongs to the family of barn owls, Tytonidae. These owl species are distributed in South India and Sri Lanka. The Sri Lanka bay owl was considered as a subspecies of P. badius (Oriental bay owl). There are two recognized subspecies of these birds. Phodilus assimilis is closely related to Phodilus badius. The two recognized subspecies of Phodilus assimilis are: Phodilus assimilis ripleyi Hussain & Reza Khan, 1978 and Phodilus assimilis assimilis A. O. Hume, 1877. The Sri Lanka bay owl (Phodilus assimilis) is a medium-sized nocturnal bird measuring about 25 to 30 cm in length and weighing around 230 grams. It looks bulky and has short legs, tail and wings. The facial disc is heart shaped. The upperparts are dark brown and spotted. The lower parts are buff with scattered black spotting. Its call is a quavering multi-element whistling sound. These owl species are distributed in South India and Sri Lanka. In India, the subspecies P. a. ripleyi occur in the states of Karnataka, Tamil Nadu and Kerala. They are distributed in the Western Ghats spanning Karnataka State, Kalakkad-Mundanthurai Tiger Reserve, Anamalai Hills and Nelliyampathy Hills. In Sri Lanka the subspecies P. a. assimilis occur in the central and southern region. The owl species inhabit humid evergreen and semi-evergreen forests, wooded hillsides, deciduous forests, mangrove forests and degraded forests. They occur from lowlands to 1000 meter elevations. The diet of the Sri Lanka bay owl is large insects and small vertebrates. The breeding season of these species is not known. These owl species are mostly non-migratory resident birds. Post breeding dispersal of juveniles takes place. They may make local movements for feeding and breeding. The global population size of the Sri Lanka bay owl (Phodilus assimilis) has not been quantified. The overall population size is considered to be stable. Their generation length is 5.9 years. These owl species have large range and population. The habitat loss due to deforestation and logging is threatening the survival of these species. The Sri Lanka bay owl does not approach the thresholds for being Vulnerable neither under the population trend criterion nor under the population size criterion. The IUCN (International Union for Conservation of Nature) has categorized and evaluated the Sri Lanka bay owl (Phodilus assimilis) and has listed it as of "Least Concern". The CITES (the Convention on International Trade in Endangered Species of Wild Fauna and Flora) has listed these owls in Appendix II. 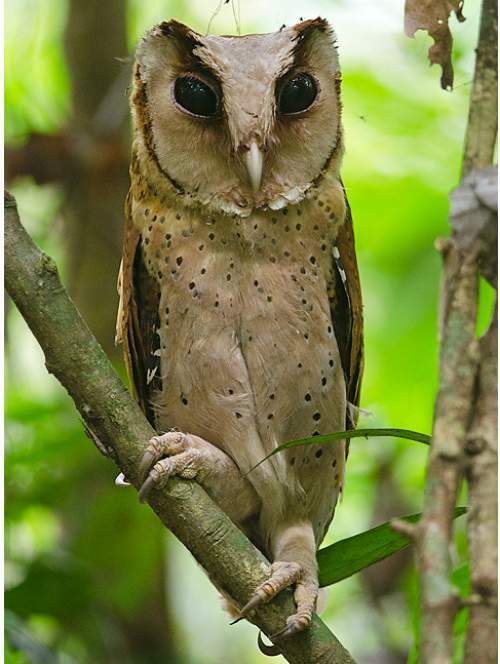 Current topic in Birds of India: Sri Lanka bay owl - Phodilus assimilis. Home › Grey-headed parakeet › Common hawk-cuckoo - Hierococcyx varius. The common hawk-cuckoo (Hierococcyx varius), also known as brainfever bird, belongs to the family of cuckoos, Cuculidae. These cuckoo species are distributed in India, Pakistan, Nepal, Bhutan, Bangladesh, Myanmar and Sri Lanka. 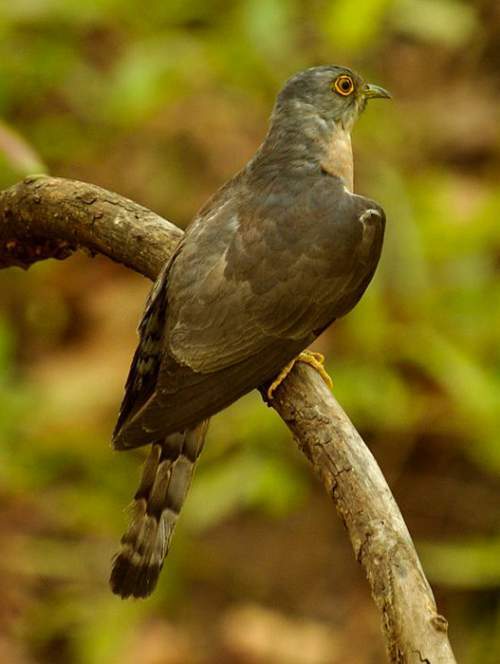 The common hawk-cuckoo has close resemblance to the shikara (a common hawk species). These cuckoos are brood parasites, laying eggs in the nest of other birds and rely on the host to raise their young. Hierococcyx varius is closely related to Hierococcyx sparverioides and Hierococcyx bocki. The two recognized subspecies of Hierococcyx varius are: Hierococcyx varius varius (Vahl, 1797) and Hierococcyx varius ciceliae W. W. A. Phillips, 1949. The common hawk-cuckoo (Hierococcyx varius) is a medium-sized bird measuring about 35 cm in length. It is ashy brown on the upperside and the head is paler grayish brown. The breast region is pale rufous with streaks as in shikara. The underside is white with fine brown cross barring. The tail is whitish with broad dark and pale brown bands. In the flapping of wings, flight movements and perching style, the cuckoo mimic shikara. The squirrels and small birds raise the alarm, as they do on sighting a bird of prey. The males are slightly larger than the females. The male cuckoo makes a loud screaming three-note call which is repeated 4-5 times. The female responds with a series of grating sounds. These cuckoo species are distributed in Indian subcontinent and Myanmar. Vagrant birds have been recorded in Thailand and Oman. The subspecies H. v. varius is distributed all over India, Northeast Pakistan, Nepal, Bhutan, Bangladesh and Myanmar. The cuckoo subspecies H. v. ciceliae is distributed in Sri Lanka. The cuckoo species inhabit evergreen and semi-evergreen forests, wooded hillsides, deciduous hill forests, partly cultivated farmlands, plantations and parks with dense shady trees. It occurs in elevations of up to 1,000 meters in Himalayan foothill forests and in hills of central Sri Lanka. The diet of these hawk-cuckoo consists mainly of caterpillars, moths, grasshoppers, locusts, cicadas, winged ants and termites, fruits, fig, berries and lizards. The breeding season of these hawk-cuckoo species is from March to July in India and it is from January to April in Sri Lanka. These cuckoos do not nest. They are brood parasites, laying eggs in the nest of other birds and rely on the host to raise their young. Their preferred hosts are babblers (predominantly Turdoides striatus, T. affinis, T. malcolmi and T. striatus) and laughing-thrushes, as the breeding season of the hawk cuckoo coincides with that of the hosts. These cuckoo species are mostly non-migratory resident birds. Post breeding dispersal of juveniles takes place. They may make local movements for feeding and breeding. The cuckoo species in higher altitudes descent to lower altitudes during winter. The global population size of the common hawk-cuckoo (Hierococcyx varius) has not been quantified. The overall population size is considered to be stable. Their generation length is 7 years. These cuckoo species have large range and population. The habitat loss due to deforestation and logging is threatening the survival of these species. 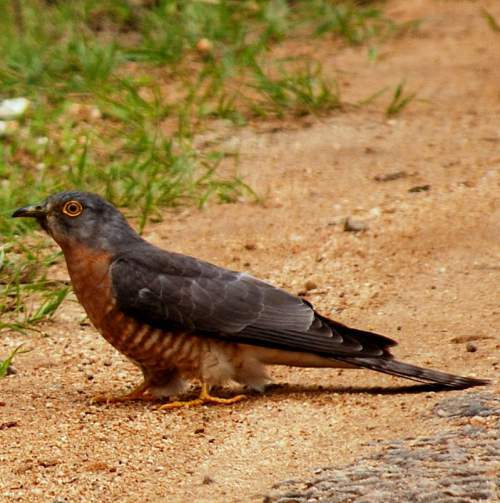 The common hawk-cuckoo does not approach the thresholds for being Vulnerable neither under the population trend criterion nor under the population size criterion. The IUCN (International Union for Conservation of Nature) has categorized and evaluated the common hawk-cuckoo (Hierococcyx varius) and has listed it as of "Least Concern". 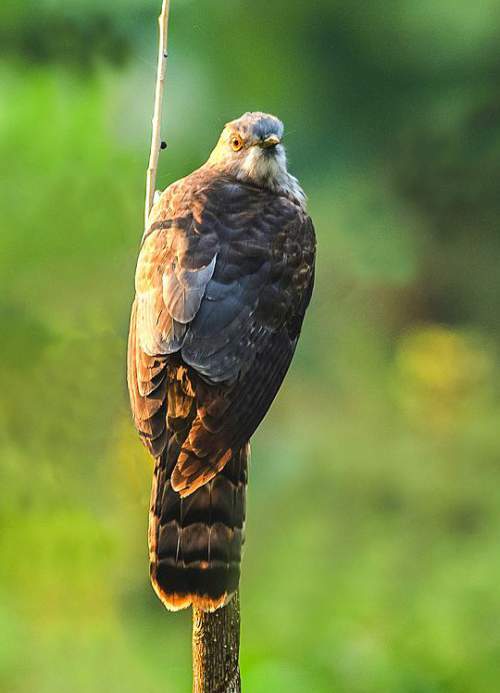 Current topic in Birds of India: Common hawk-cuckoo - Hierococcyx varius. Home › Snow pigeon › Grey-headed parakeet - Psittacula finschii. The grey-headed parakeet (Psittacula finschii), also known as Finsch’s Parakeet, belongs to the family, Psittaculidae. These parakeet species are distributed in eastern India, Bhutan, south-western China, Thailand, Cambodia, Laos, Vietnam, Myanmar and Bangladesh. The grey-headed parakeet inhabits montane forest, open mixed deciduous forest, evergreen and semi-evergreen forests and farmlands and cultivated areas with several trees. Grey-headed parakeet was previously considered conspecific with P. himalayana. It is closely related to P. himalayana. Psittacula finschii is monotypic species. The grey-headed parakeet (Psittacula finschii) is a medium-sized bird measuring 35 to 40 cm in length. It is very similar to P. himalayana. However it is smaller in size, the tail feathers are longer, the head is paler and the upperparts are more yellow. The nape is pale blue-green. The grey-headed parakeet species are distributed in eastern India, Bhutan, south-western China, Thailand, Cambodia, Laos, Vietnam, Myanmar and Bangladesh. They are very rare in Bangladesh. In India, the grey-headed parakeets occur in the states of Assam, Meghalaya, Manipur, Tripura, Mizoram and Arunachal Pradesh. In China, they occur in Yunnan province. The Important Bird and Biodiversity Areas (IBA) of grey-headed parakeet in Cambodia are Keo Sema and Mondulkiri - Kratie Lowlands. The IBAs in Laos are Nakai-Nam Theun, Nakai Plateau, Eastern Bolikhamxay Mountains, Upper Xe Bangfai, Xe Khampho / Xe Pian, Phou Xiang Thong, Attapu Plain and Hin Namno. The parakeet species inhabit evergreen and semi-evergreen forests, oak, teak, cedar and pine forests, wooded hillsides, deciduous hill forests, partly cultivated farmlands and plantations. It occurs in elevations of up to 2,700 meters in montane forests. The diet of the grey-headed parakeet consists mainly of nuts, seeds, grains, grass, shoots, buds, flowers, berries, fruits and legumes. The breeding season of these grey-headed parakeet species is from January to March in Myanmar. They nest in tree hollows. The clutch usually contains 4-5 eggs. These parakeet species are altitudinal migrant birds. Post breeding dispersal of juveniles takes place. They may make local movements for feeding and breeding. These grey-headed parakeet species have been found to descent to lower altitudes from the upland forests during winter. The global population size of the grey-headed parakeet (Psittacula finschii) has not been quantified. The overall population size is considered to be on a sharp decline. Their generation length is 7.5 years. These species have large range and population. The grey-headed parakeet is being widely captured for pet trade. In China and Cambodia, the trapping pressure is contributing to the decline in the population. The habitat loss due to deforestation and logging is threatening the survival of these species. 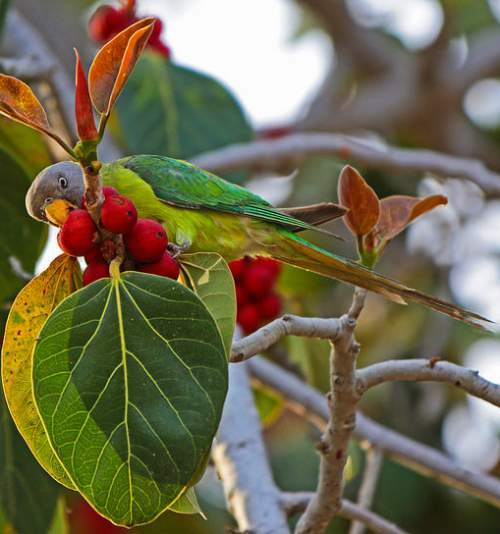 The IUCN (International Union for Conservation of Nature) has categorized and evaluated the grey-headed parakeet (Psittacula finschii) and has listed it as "Near Threatened". The CITES (the Convention on International Trade in Endangered Species of Wild Fauna and Flora) has listed these parakeets in Appendix II. Current topic in Birds of India: Grey-headed parakeet - Psittacula finschii. Home › Tibetan sandgrouse › Snow pigeon - Columba leuconota. The snow pigeon (Columba leuconota) belongs to the dove and pigeon family, Columbidae. These pigeon species are distributed in Afghanistan, Pakistan, India, Nepal, Bhutan, China, Myanmar, Kazakhstan, Tajikistan, Kyrgyzstan and Turkmenistan. The snow pigeon forages in open country, roost at night on cliffs and nests in crevices in rocks. There are two subspecies of these pigeons. 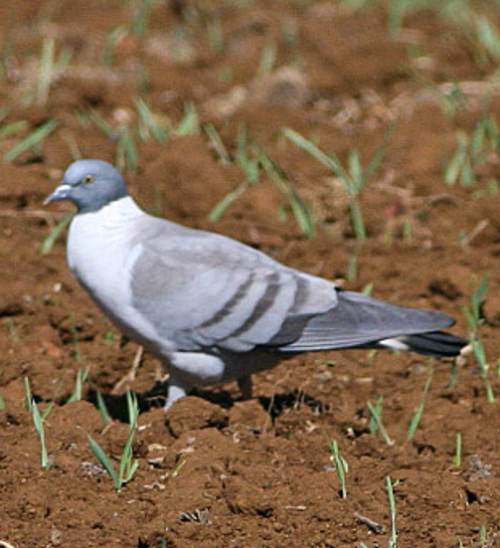 Columba leuconota is closely related to Turkestan hill dove (Columba rupestris) and rock pigeon (Columba livia). The two recognized subspecies are: C. l. leuconota Vigors, 1831 and C. l. gradaria E. J. O. Hartert, 1916. The snow pigeon (Columba leuconota) is a medium-sized bird measuring 30 to 35 cm in length and weighing 250 to 300 grams. The head is blackish slate gray. The neck collar and underparts are a contrasting white. The abdomen is ashy gray. The back is grayish brown with a white patch on the posterior region. The scapulars and lesser wing-coverts of these pigeon species are light greyish brown in color. Their wings are pale gray with three ashy-brown cross bars. The black tail has a broad white band in the middle, curving and narrowing backwards to reach the outermost tail feathers. The snow pigeon species are distributed in Afghanistan, Pakistan, North India, Nepal, Bhutan, China, Myanmar, Kazakhstan, Tajikistan, Kyrgyzstan and Turkmenistan. The subspecies C. l. leuconota is distributed in Afghanistan, Pakistan, India, Nepal, Bhutan, Tajikistan, Kyrgyzstan and Turkmenistan. The pigeon subspecies C. l. gradaria is distributed in Bhutan, North Myanmar and China (Tibet, Qinghai and Yunnan provinces). The Important Bird and Biodiversity Areas (IBA) of snow pigeon in Nepal are, Tamur valley and watershed, Shey-Phoksundo National Park, Sagarmatha National Park, Rara National Park, Makalu Barun National Park, Langtang National Park, Kanchenjungha Conservation Area, horpatan Hunting Reserve and Annapurna Conservation Area. The IBA of the pigeon in Tajikistan is Drumkul Lake. The IBA in Kyrgyzstan is Eastern Alai and in Afghanistan is Small Pamir. The snow pigeon species live in alpine zone (alpine tundra, rocky hill sides and sequestered valleys) in montane ecosystem dominated by grasses and low-growing shrubs. They are observed up to the snow line. They forage in the undulating plains and hill sides and roost in the cliffs and rocky ledges. They do not normally occur in forests. The diet of snow pigeon consists mainly of seeds, grains, grass, shoots, buds, flowers, berries and legumes. The breeding season of these pigeon species is from May to July in most of their range. They often breed in large colonies, nesting in crevices, cracks or caves in the face of cliffs or rock ledges. The nest is an untidy platform of sticks, grass and feathers. The clutch usually contains two eggs. These pigeon species are altitudinal migrant birds. Post breeding dispersal of juveniles takes place. They may make local movements for feeding and breeding. These pigeon species have been found to descent to lower altitudes from the upland snow covered plains in winter. The global population size of the snow pigeon (Columba leuconota) has not been quantified. The overall population size is considered to be stable. Their generation length is 5.6 years. These species have large range and population. The snow pigeon does not approach the thresholds for being Vulnerable neither under the population trend criterion nor under the population size criterion. 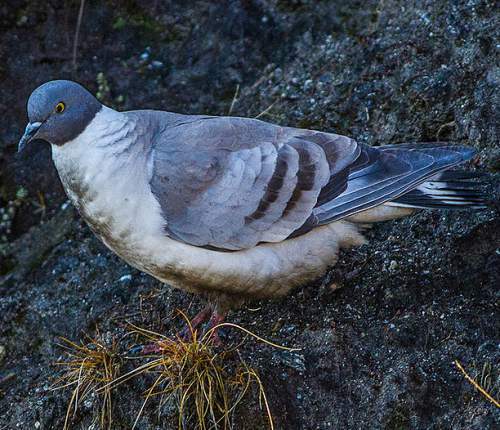 The IUCN (International Union for Conservation of Nature) has categorized and evaluated the snow pigeon (Columba leuconota) and has listed it as of "Least Concern". Current topic in Birds of India: Snow pigeon - Columba leuconota.